HawaiiWinterOutlawSeries THE MAUI CHALLENGE Results. Hawaii Winter Outlaw Series Event 4 - The Maui Challenge. Here in Hawaii we are mid way through out race season and once again, next week we are off to another island to shred the gnar. Though all of you probably have it down by now...i figured i may as well go over a little essentials list of crucial things to have if your a traveling skater. 1) SKATEBOARD/ SKATEBOARDS ... but no more then 2! Less the better. You will all be squeezing into cars, gots to be able to breathe! 2) Helmet and Gear. Try to bring just 1 helmet, once again less is better. I slack when it comes to this. Make sure you have all safety gear you'll need. Extra pucks! and carry your extra wheels in a carry on to avoid the weight in the check in bag. 3) One man TENT, Bivy Sleeping Bag or Hammok. 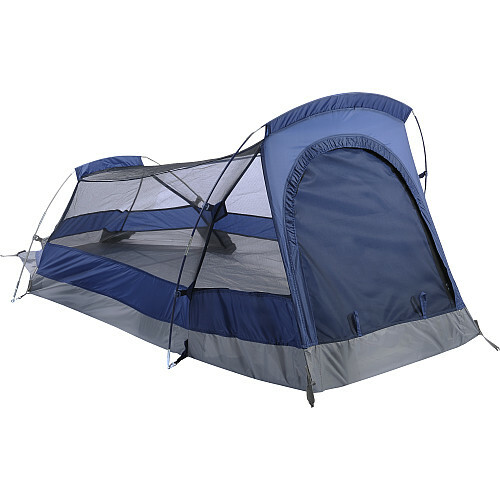 There are tons of tiny, easy to pack tents. Don't lug around a 5 person tent with a hundred poles! Even better is a waterproof bivy sleeping bag or a hammock.... these can be broken down easily and moved on to the next skate spot without hassle. 4) Foldable grill / 1 can stove. You gotta eat to live. And driving down the mountain from the camp spot to pay a ton for a meal isn't ideal either. Bring a foldable grill or one can stove ( available at walmart ) and kill it with the hot dogs, burgers and canned foods! 5) Water Bottles. While skating you gotta keep hydrated. Bring something to hold water in. Score free water when you can. Or buy a big jug to keep it cheap. But don't be that guy to drink straight from the community jug thats gonna be lasting days! 6) Roof Rack. Have at least one roof rack/ surf strap you can use per car. Get the bags up there and you will save a load of space in the car. You'll be thanking me. 7) CAMERA. Capture the good times and great vibes. So you all should know the rest for sure. Toothbrush, pantys, what not. But knowing these few things will help your trip flow a little smoother. HawaiiWinterOutlawSeries Event 4 - The Maui Challenge 2. Its the holiday season, so we are giving ourselves a treat for the Hawaii Winter Outlaw Series event 4. We are taking our 4th event over to Maui and jamming the gems their island has to offer. The boys over there have been scoping all possible courses and have found the perfect one. Here's some info straight from the Maui crew! 2 minutes. I'll try to find camping that's nearby for racers. get it from Jon's house..
reflectors and yellow line haven't been put in yet. The only real problem we may run into on this course would be rain. hour away that just about never rains." 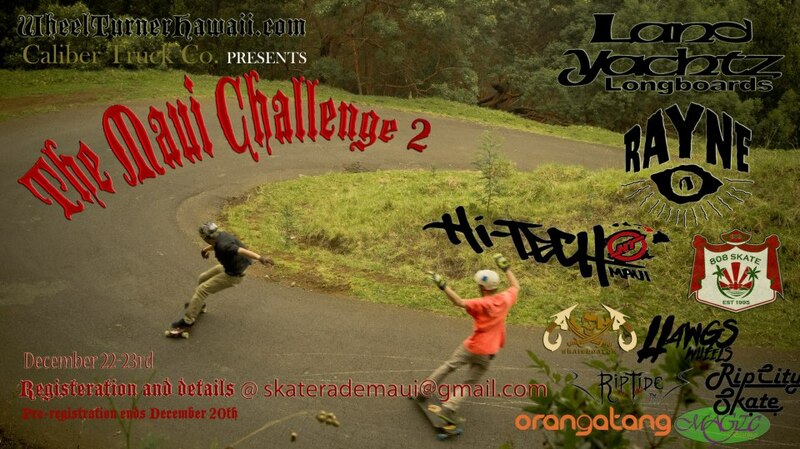 Please email skaterademaui@gmail.com by DECEMBER 20th to register for the event. All islands are coming out to jam this one... it's be a good one! See every one on Maui, Don't forget to register. HawaiiWinterOutlawSeries Event 3- The Scorcher 3. Write up, photos and video! November in Hawaii. Great weather, visiting wheel turners, amped locals... 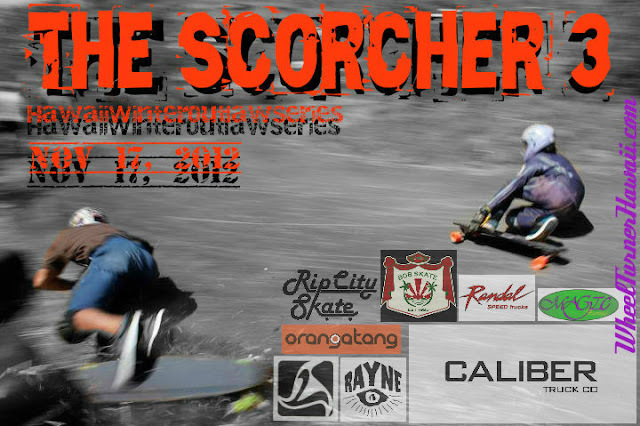 The Scorcher 3 Invitational... a great time to be on the Islands! We gathered on a Saturday morning, got all 24 invitees signed up and we headed out to the racecourse. The Scorcher is the gnarliest racecourse that the Hawaii Winter Outlaw Series has to offer. Three, steep, narrow, back to back hairpin turns with pavement full of holes, cracks, ripples and gravel. Finding the right line here is HARD... no matter how good of a skater you are. Because of these harsh conditions, we moss baled up the " Caliber Causality Corner" and ran heats 1 vs. 1. After about 30 minutes or so of practice runs to get the out of towners acquainted with the road, heats got underway. With this event being a invite only, we had STACKED heats from round 1. Everyone in this round was close, racing was intense. Some heats seeing crucial passes, others big crashes. The Caliber Causality Corner was full of action. Some action from round one. Once the prelim rounds were through, we had cut the bracket in half... lots of the top names in the race series already eliminated! Aussie Gabe taking a stroll in-between race runs. Thanks Gabe for coming out and filming! Now we are down to our top 8. Heats are NickS vs. DanteA, KJ vs. NikkoK, Cookie vs. MaikaM, and EvanTwigg vs. BenF. All of these heats stuck together from beginning to end, not letting any bumps or potholes get in their way. The bottom two hairpins were the deciding factor... high exit speeds out of the corners (which is very difficult with the inconsistency of the pavement) scored the wins. After the heats duked it out, we are down to our final 4... 3 of 4 racers under 18 years old! The youngans are holding it down on the gnar. This heat between Nick S and Dante A was sick! The semi finals are on. First heat is KJ Nakanelua vs. Dante Alston. Dante was able to lock down the front position off the kick and maintain through all 3 turns with KJ closely tailing. The last turn was TIGHT.... but he was not able to squeeze by. Next up in the semi's is Tommie Cookie McClain vs. Evan Twigg Smith. THESE GROMS ARE RUSHERS. The two were next to each other though the first turn and the steep, bumpy, straight away... riding with a human on this road is hard enough. These two were sharing it side by side barely missing the holes. Approaching the Causality Corner, both goofy footers were confident and full tucked. Evan threw his pre drift but failed to link back up where he wanted causing him to slide out wide. Cookie took his chance to try to pin the opening, but couldn't make it and was forced to throw a second drift to avoid Evan. Both kicked their asses off after the turn into the last hairpin. Evan making it across the finish first. Cookie trying to make the move on Evan. BOOM. We have an all grom final. Dante Alston vs. Evan Twigg Smith and KJ Nakanelua vs. Tommie Cookie McClain. Consi's are up first. Kj takes the lead through the first turn into the straight. Cookie in his normal spot... right in the draft bubble. As they drift for causality corner, Cookie goes for the inside line... but KJ holds his line perfect, blocking Cookie out. These two were nearly leaning on each other in the turn! Coming across the finish line in first was KJ... talking 3rd overall and Cookie 4th. Cookie is so close to KJ you can barley see him! THE FINALS ARE UP. The crown is surrounding the course. Riders are nervous and vibes are INTENSE! To top if off, a little drizzle is dropping from the blue sky. The heat is on. Dante kicks into first. Coming out of the first hairpin, Dante starts to gap Evan through the steep straight. As they approach Caliber Causality Corner, Dante takes it clean like he has been all day and solidifies his gap... continuing on with a clean run to finish in first. Dantes wins his second Hawaii Winter Outlaw Series event in a row! Dante takes a last look back before taking the last corner and finishing in 1st. Following the finals and course clean up, we headed over to a local garden to award skaters with schwag. Every rider to compete went home with some goodies and the top 8 went home with some prime time gear, and cash money. The 4 podium riders were stoked… pretty much enough parts for a complete and a good amount of dollah bills. Everyone deserved it. We all survived the road! BIG MAHALO’s to all of the sponsors who helped us out. None of this could happen with out your support! Mackenzie getting the prizes ready. Hawaii Winter Outlaw Series Event #3: The Scorcher from Evan Higa on Vimeo. Event Video By Evan Higa. Next up is The Maui Challenge. Get your flights booked, cars arranged and camping gear ready. It’s going to be a good one. Check back on WheelTurnerHawaii.com for more info soon! THE SCORCHER 3 was a HUGE success. Thank you to all the sponsors who helped make it possible. Heres a awesome event video brought to you by Evan Higa. Full Write up and photos coming soon! The Scorcher 3 is ON today. The course is wet at the moment. We will see what its like by go time. Either way.... Issonn! Who will take home the title from Hawaii's gnarliest race, THE SCORCHER 3? Skaters will go head to head tomorrow on some of the roughest terrain out there, which makes for some INTENSE, fun racing. HawaiiWinterOutlawSeries. Event 3 - THE SCORCHER 3. Its November. Two events have gone off flawlessly, and now its time for H.W.O.S event 3, THE SCORCHER INVITATIONAL. Known as Hawaii's gnarliest event, this course is not for the faint at heart... which is why it is our only INVITE ONLY race. On November 17th, Skaters will be dropping in on 3 - 4 back to back, steep, hairpins on a road full of gravel, cracks and potholes! 1 vs 1 heats keep it interesting on this gnarness. Staying on your board and keeping your line through the rough is the name of the game! If you are on the invite list and plan on coming, we still need you to pre register. So send in your name, age and phone number to StokedSkaters@aol.com by NOV 14 at the LATEST! All riders are REQUIRED to wear a full face helmet and gloves... Full pads or leathers are STRONGLY encouraged. THIS IS A RIDERS ONLY EVENT, NO SPECTATORS ALLOWED ON THE HILL. Get ready for some heaviness! See everyone on the 17th. CaliberTruckCo presents the HawaiiWinterOutlawSeries POINTS RANKING after event 2. Here it is, what you have all been waiting for. The 2012 - 2013 Hawaii Winter Outlaw Series points ranking system has started. Two events so far, one full points and one half points. The top positions are within points apart! This seasons going to be a good one!